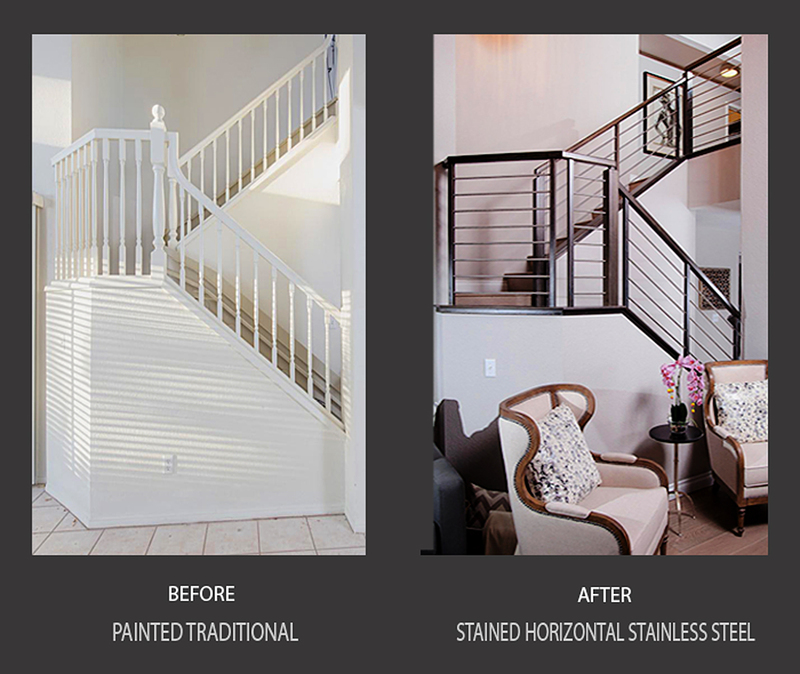 Nevada Stairs is the longest locally owned, licensed and bonded stair company in the Las Vegas area. From banisters, treads, railings, handrails, to balustrades. 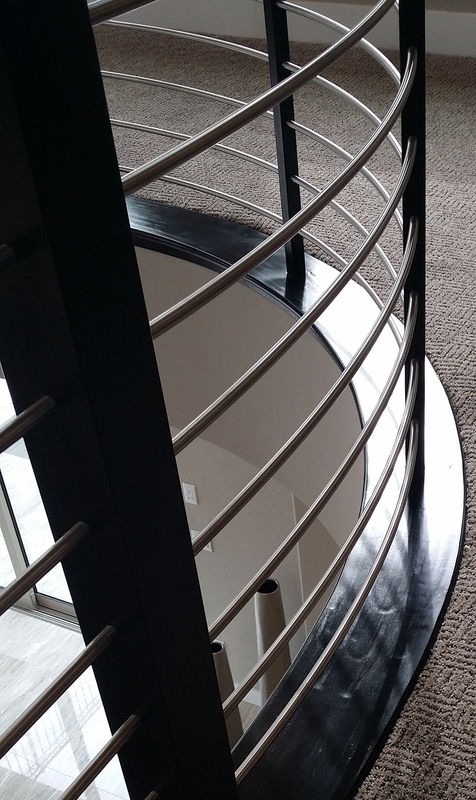 We will design, manufacture and create the custom staircase of your dreams. Contemporary styles have well defined lines, combining different materials works well in a contemporary setting. Customize your wood type, stain, and paint grade staircase options. These styles are creative with architecture, pushing the boundaries from the norm, characterized by a stark boldness. 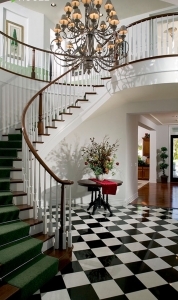 Traditional stair styles have been created in a period style or to compliment a specific era. 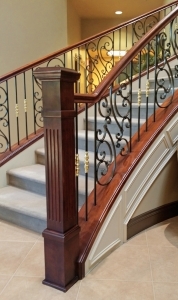 Nevada Stairs’ artistic decorated handrails and spindles.will add classical elegance and character to your home. 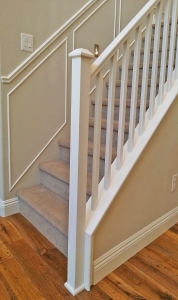 “I am extremely pleased we made the choice to use Nevada Stairs to replace the banisters and kickboards on our staircase. David did an absolutely wonderful job and was meticulous about the work. The original banister was a constant issue and looked old and tired. Now when you walk into the house, the staircase is a focal point and makes the house look new.The best part was seeing the smile on my wife’s face, she absolutely hated the old banister and now she is so pleased with her new stairs. Nevada Stairs worked with us to make sure the job could be done with minimal disruption and never left any mess at the end of the day. This before & after contemporary style example shows how it works seamlessly with eclectic decor styles. Such as a contemporary staircase with more traditional furniture. The Horizontal Stainless Steel staircase style is available with multiple options of wood types and can be curved to fit your design. Choose your custom color finish from our samples or create your own for a wide variety of decorator styles. for the best outcome for each project – no matter what the scale!